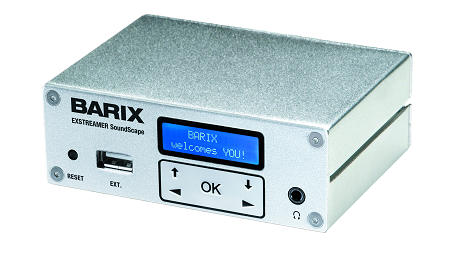 The Exstreamer SoundScape is an audio player that supports playback of Playlists, Adverts and live Streams. Audio content is scheduled from the SoundScape Portal - a central cloud-based management platform that is also used to monitor and configure the player devices. This product is designed for Business Music applications that demand high flexibility and re-liability in scheduling, monitoring and reporting of audio playback and is especially suitable for Content Providers who manage audio content distribution for clients worldwide.